These Fusion 12 ultra-sheer and matte, run-resistant pantyhose are perfect for everyday wear. These have sandal toes that will not show with open-toe shoes. The special knitting and Fusion 3D Lycra yarn will ensure that snags don't turn into ladders. Sheer to waist, sandal toes, flat seams, cotton gusset, back panel in size 5. 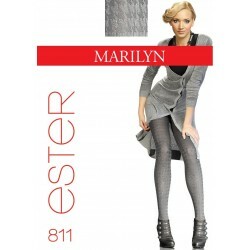 Ultra-sheer and matte pantyhose, perfect for everyday wear as they are run-resistant and have a subtle look. These have sandal toes that will not show with open-toe shoes. The special Fusion 3D Lycra yarn will ensure that snags don't turn into ladders. If you need to wear sheer pantyhose to work on a daily basis during summer, these Fusion pantyhose will be your best bet. Main features: sheer to waist, totally invisible/summer toes, flat seams, cotton gusset, back panel in size 5. Just slipped these on for the first time and love how they fit. The matte design clings to my legs like a second skin. They feel nice under my jeans at work too. Would definitely recommend. What a pleasant experience, soft, sheer, silky and matte finish - a most welcome addition to my hosiery collection.